Comic book writer/actor/producer Stan Lee rules the kingdom of Comic-Con - and soon, maybe the world! Movie stars may cause heads to turn and superstar directors get fanboy worship, but let’s be clear: Stan Lee is the undisputed King of Comic Con. 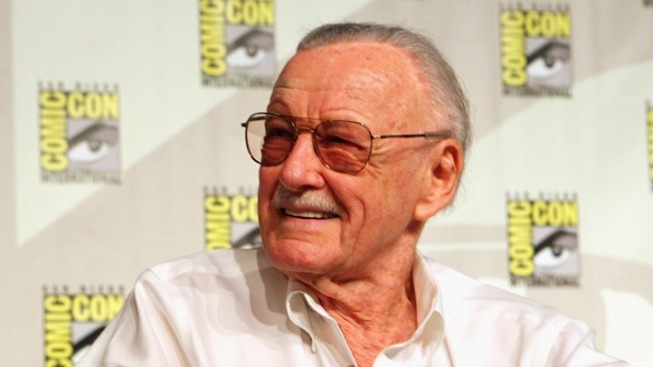 Lee is the former editor-in-chief of Marvel Comics and co-creator of some of the world’s most famous superheroes – including Spider-Man, the Fantastic Four, Iron Man, Thor, the Incredible Hulk, the X-Men and the Avengers – and, at age 89, as charming and charismatic as the big screen’s Tony Stark. Lee gets the full-on rock star treatment wherever he goes to comic book conventions, and interest still rises in his never-ending slew of new projects, including his latest: “Stan Lee’s World of Heroes,” a full slate of scripted and unscripted digital programming available on Lee’s own YouTube channel. I'm excited about having my own channel on YouTube. It's like your own cable channel or your own network. I never expected to have something like that, where we can create our own shows and put them on a YouTube channel. We have so many varied things. A lot of them involve me. A lot of them are just other shows that were created that we're putting on, but every one of them has to be offbeat, unusual and amusing and entertaining. It's all got to be a little bit tongue-in-cheek and fun. Nothing stuffy. Nothing dull. Nothing pedantic. I'm excited because the shows that have already been brought to us are wonderful, I think, and then the ones that I'm involved in, well, I'm my own biggest fan, so I think that they're wonderful. Can you believe what's happened with these characters that you've created? 'The Avengers' and ‘Amazing Spider-Man’ have seen massive success this year, and you created those characters in reaction to nearly giving up the comic book business a long time ago. What does it mean to you at this point? I don't really have time to think about it that much, but when it does occur to me, the fact that this all started decades ago with these lowly comic books, it's hard to believe. Of course it's the movies that have made it all so big and so glamorous, movies that could not have been made in the early days because they didn't have the special FX that they have now. But now you can take something that as a comic book just seemed fantastic. 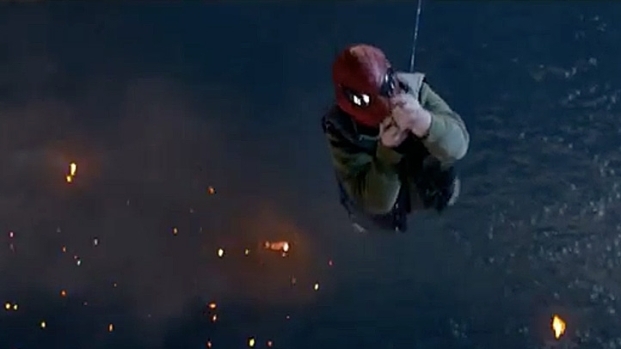 I mean, a guy swinging on a web over a city – that was comic book stuff. But you do it beautifully in a movie and suddenly it becomes something spectacular. So the movies have helped so much to make these characters big and important and somehow, even though I really have not much to do with the movies, I'm getting so much credit for it. It's pretty wonderful to me. Andrew Garfield stars in this reboot of the story of your friendly neighborhood wallcrawler as he falls for Gwen Stacey, battles The Lizard and gets chased by the cops. Co-stars Emma Stone, Denis Leary and Rhys Ifans, opens July 3. When you first came to Hollywood a couple of decades ago, what was it like beating on doors and taking meetings and trying to get these characters to be taken seriously? I was a nothing and a nobody. Nobody knew my name, except a few people here who had read comics when they were growing up. But even so, 'Okay, you're Stan Lee. You wrote comics. What are you bothering us for?' So, instead of trying to sell movies and television shows we started an animation company and we were producing little 'Spider-Man' cartoons and we did other things, too, besides things that Marvel owned. We won an Emmy for one of the shows. Little by little I started dipping my toe into the movie waters and television, and I realized that I loved that. Eventually I formed a company, almost ten years ago, called POW Entertainment. I'm sure that you've already figured out that POW stands for Purveyors of Wonder. Our latest movie, we have a Chinese superhero. We're co-financing it with a Chinese movie company, but it's a movie for the whole world. It's not just a Chinese movie. I think it's going to be sensational, and we're working on an Indian superhero. We already have two American superheroes. We're doing some television projects, and we have an arena show, sort of like Cirque de Soliel, but bigger. It's a show called 'Yin and Yang; The Power of Tao.' It'll open up in Macau. It's the only show of it's type where the audience will be a part of the story of the show. So we're keeping busy. And I still try to find time to come to comic book conventions. 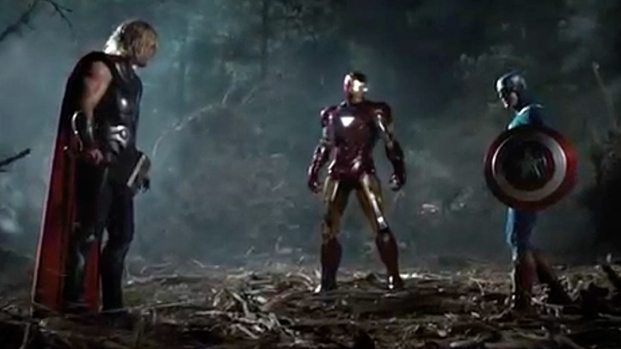 Are you preparing for an Oscar nomination for 'Amazing Spider-Man’ – maybe the funniest cameo you've done yet? Well, I'm starting a campaign. I have a thing on 'Stan Lee's World of Superheroes' called 'Stan's Rants' where I rant about things that bother me, and it bothers me that there is no award for the best cameo of the year. So, I'm starting a campaign to get my fans to write in. I don't think that I'd have much competition.